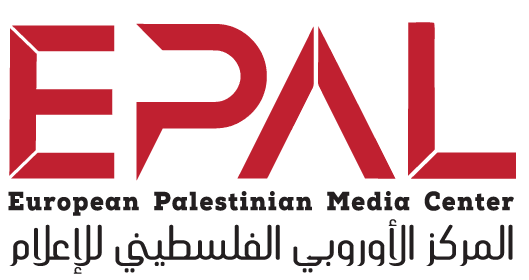 The European Palestinian Media Centre – EPAL is a multi-platform media organization supplying information about the Palestinian issue on the European continent. It was founded by a group of Palestinian journalists and media professionals from various European countries. We want to be a voice for Palestine on the European continent and a bridge between the Palestinians with their deeply-rooted history in the Middle East and the European people. We also seek to be a free platform that addresses the Palestinian concerns at home and in the Diaspora according to professional and ethical standards. Creating a Palestinian media platform with multiple European platforms and languages. Presenting the Palestinian cause to the European public with Palestinian opinions about it’s situation in all its humanitarian, moral, cultural and legal dimensions. Producing press media materials through our various platforms and providing media organizations and satellite channels with live broadcast services about the Palestinian events in Europe. Highlighting the cultural identity and the historical events of the Palestinian people and promoting the sense of belonging of the Palestinian cultural heritage and patrimony to the upcoming Palestinian generation in the Europe. Developing the environment of media work for the Arab and Palestinian capacities interested in the Palestinian concerns in the European continent. Providing the best possible coverage of all Palestinian and pro-Palestinian activities in Europe, especially the Conference of Palestinians in Europe. Presenting a series of lectures and media courses in order to serve the objectives of the European Palestinian Media Centre and providing it with new media professionals. Organizing regular conferences and workshops specialized in the Palestinian media issues. Providing incentives and annual prizes for the best European media production related to Palestine that serves its cause. Germany, Sweden, Netherlands, Denmark, Italy, and Austria. المركز الأوروبي الفلسطيني للإعلام – EPAL © 2019 All rights reserved.